short girl, long island. : Iron Craft '13 Challenge #2: Orange. Orange you glad I didn't say banana? Although that would be a fun creation, I'm glad I wasn't given anything too difficult to create just yet. Sarina + I both chose orange paint for this project, but went in two entirely different directions. Sarina went the route of spray paint on shoes, while I stared at the insane amount of paint chips I snagged at Home Depot, trying to figure out what the hell I should make. Once we were in Sarina's craft room/dungeon/lair, I was trying to associate the colors to something. I had picked up a frame earlier at Wal-Mart + knew I'd be making some sort of wall art, but was still undecided. Then, it hit me. These reminded me of Harry Potter for some reason. 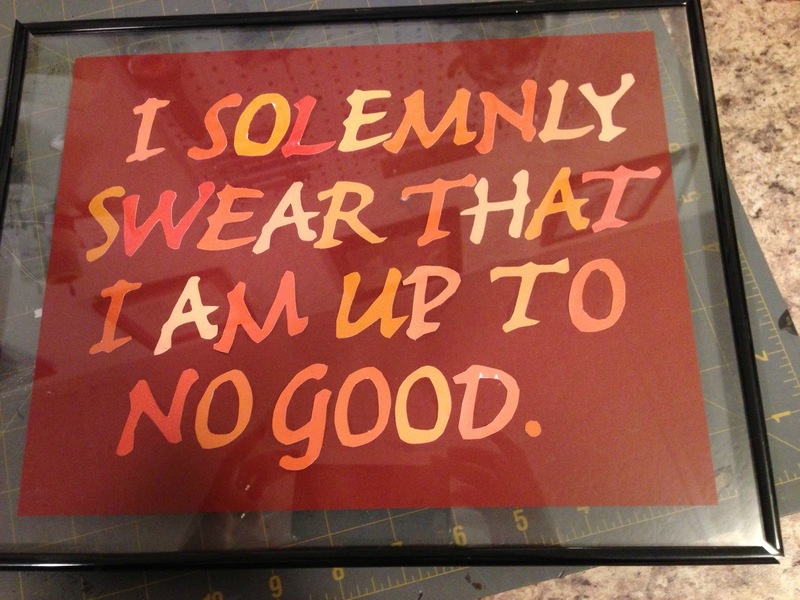 So, we looked up HP quotes + decided on one that would be perfect for any mischievous person - HP lover or not! That is a really clever way to use the paint chips. I love this and Harry Potter! Great imagination! Love it, came out nice. I like the frame you used. Hi Michele! 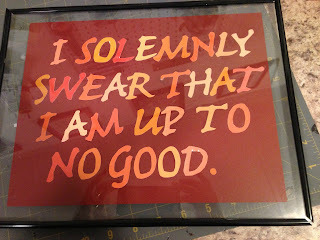 New follower here :) I've been looking for a paint chip idea...was thinking about a calendar, but LOVE this idea because I'm a (not so closet) HP fanatic!